Mahmoud Ahmadinejad, Iran’s president, is visiting Egypt. This is the first time in over 30 years that a leader from Iran has visited Egypt. Last year, Egypt’s President Mohammed Morsi made a trip to Iran, and that was also the first time in over 30 years that an Egyptian leader visited Iran. The two presidents are trying to improve the relationship between their countries. Egypt and Iran had broken off ties with each other in 1980. There was a revolution in Iran in 1979 when the ruler of Iran, Shah Mohammed Reza Pahlavii, known as the Shah, was overthrown and a new government took over. The Egyptian government allowed the Shah to stay in Egypt, which upset Iran’s new government. Another reason was that in 1979, Egypt signed a peace deal with Israel, a country that Iran did not get along with then, and still doesn’t. Egypt has gone through many changes in the last two years. In January 2011, citizens of Egypt protested against the government, and Hosni Mubarak, Egypt’s president for nearly 30 years, stepped down. Mubarak and Ahmadinejad were not on friendly terms. 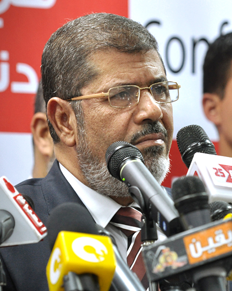 Last June, Morsi was elected as the new president of Egypt, and one of his agendas has been to improve Egypt’s relationship with Iran. The two countries have other differences as well that have led to conflict. One is about the country Syria. Rebels have been fighting the Syrian government for about two years now. Iran supports the Syrian government, while Egypt wants the government to step down. Another difference is that the majority of Egyptians are Sunni Muslims, while most Iranians are Shia Muslims. Shia and Sunni are different branches of the religion Islam. There have been tiffs between the followers of the two branches, which have added to the conflict between Egypt and Iran. One event that took place on February 6 in Cairo, the capital of Egypt, did not help the effort to improve relations between the countries. 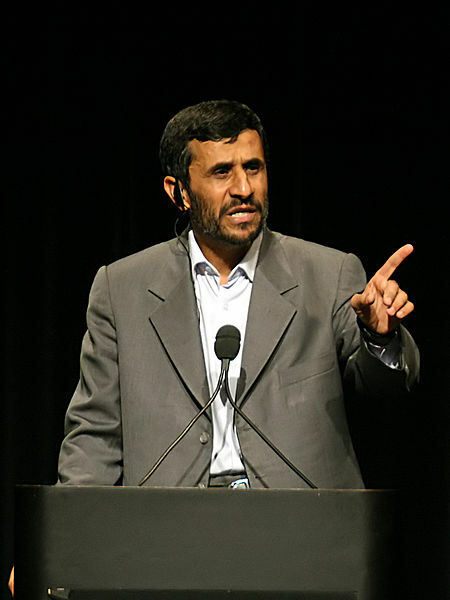 A man threw a shoe at Ahmadinejad, but the shoe did not hit him. “Shoes” are considered unclean in many countries around the world, and throwing a shoe at somebody is like throwing an insult. A few world leaders have had shoes launched at them in recent years. Taiwan’s President Ma Ying-jeou had a shoe thrown at him in Taiwan last year. People had waived shoes outside the home of the former German President Christian Wulff last year. In 2010, the former UK Prime Minister Tony Blair had shoes hurled at him in Ireland. The former Australian Prime Minister John Howard had a shoe thrown at him in the UK in 2009. A pair of shoes was pelted at the former United States President George W. Bush in Iraq in 2008. There are many such instances! Did you know? Iran was known as Persia until 1935, and its official language is still called Persian. Did you know? Ancient Persians were one of the first people to invent a frozen dessert called “faludeh” which is made out of rosewater and vermicelli. They figured out how to store ice inside tall buildings called yakhchals which acted like refrigerators.